Yes, we have. We launched Good News Agency in June 2000. It is issued on a Friday in English and the following Friday in Italian. It reaches directly 3,700 media in 48 countries, as well as 2,500 NGOs. The attrition rate has always been extremely low. Media have been receiving our electronic newsletter with a remarkable degree of interest proven by the journalists' request, when they change place of work, to keep on receiving it at their new e-mail address. And in the past five years, media have increasingly reported news of the development activities around the world. The news included in Good News Agency are broken down by subject: International Legoslation, Human Rights, Economy and Development, Solidarity, Peace and Security, Health, Energy and Safety, Environment and Wildlife, Religion and Spirituality, Culture and Education. This wide range has ensured media's interest. This has been an all-volunteer activity since its beginning. It has not been possible to devote time to the building of teams of translators in other languages, which would enhance the newsletter strength of persuasion within the editorial offices of many countries. We have been thinking of French, German, Spanish and Portuguese, languages that would allow media's stronger acceptance in those countries that are the major contributors to the Official Development Assistance, and cover large regions of development work. This expansion would be an important factor towards the formation of a public opinion supporting the formula of 0.7% of GNP. With regard to the formation of public opinion the publication of the telematic newsletter Good News Agency continued with intensity and regularity throughout the period 2001-2004 and presently. During 2004, 31 editions were issued, 16 in English and 15 in Italian. The distribution increased from 2,500 to 3,700 TV, radio and press editorial offices, thanks to the utilization of the survey of United States media carried out by the UNA-USA Association, a survey which our Association was able to adopt. Besides the media in 48 countries, Good News Agency was regularly sent to 2,500 non-governmental associations, voluntary associations, universities and colleges in the world. Considering the ease with which the newsletter is circulated by the addressees themselves to their ‘mailing lists’ and the fact that many NGOs include it in their own web sites, it has been estimated that the global circulation of this telematic newsletter is in the order of 100,000 copies, all distributed by Internet. The activity of research for news continued, both through direct research and on the basis of a flow of information that has been spontaneously established from the UN and their specialized agencies, other international institutions, and the world of NGOs and service associations For the translation of the news from English, the valuable and precious help of eight young voluntary collaborators (graduates in Languages and Foreign Literature or holders of the diploma of the High School of Interpreters and Translators) and of two senior voluntary collaborators was obtained. The Campaign “Let’s Take Good News Agency into the Schools”: this telematic newsletter, which is also being introduced into some secondary schools through some Rotary Clubs, was supported by a press campaign offered free by the Italian monthly magazine Rotary, which included in every issue, starting in May 2003 and for the whole of 2004, two whole pages in colour with the exhortation to Rotarians to present Good News Agency in the secondary schools. The magazine Rotary is sent to the 671 Clubs and 40,000 Rotarians in Italy. This support, which has a very high financial value, has – as for the media – an excellent potential for promoting a more aware public opinion, considering the multiplying effect which can be obtained in the high schools. As a result of the campaign, the Association gave some talks in several higher institutes and Rotary Clubs. These talks, on the theme “A Revolution of Consciousness” to promote a culture of peace, were organized and given in order to permit, as a logical conclusion, the presentation of the two important activities of the Association in this field: the Ethical Code of the Media and the telematic newsletter Good News Agency. Several teachers of higher institutes asked to received the newsletter, which is thus discussed in class and which constitutes the stimulus for research and in-depth analyses on the part of the students. The English edition is also utilized in class for this purpose by some teachers of foreign languages. The Ethical Code of the Media, which identifies media's task and responsibility "to pursue the aim of disseminating information on every aspect of the reality in which we", has been signed so far by 125 NGOs, service associations, v.i.p., and concerned people around the world. The work of the Association continues to be much appreciated by the Department of Public Information of the United Nations, with which the Association is associated. Of particular importance for the UNDPI is the fact that the editorial activity of Good News Agency, with 12 pages and 40 news items on average per issue, disseminated to the media of 48 countries during the year 2004 more than 650 positive news items, of which 70 percent concerned the UN and its specialized Agencies. The same flow of information was disseminated in the previous four yrears. Lastly, in 2004 - as alrerady done in the previous four years - some issues of this telematic newsletter included some editorials and interviews on these subjects: 8 March, International Women’s Day: Being a woman today; World crisis: it is not too late to change this situation; interview with the Undersecretary-General of the UN for the Least Developed Countries; Millennium Development Goals: civil society takes action; interview with the Manager of the global policy programs, United Nation Association of the USA. A special number was entirely dedicated to the global response to the drama of the tsunami. 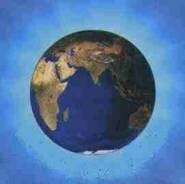 A picture of the Earth that we include in the Good News Agency. Major efforts to strengthen the formation of a well informed public opinion should be undertaken. Public opinion is the determining factor for the development of a culture of peace. Media and high schools and colleges should be the primary target of a concerted effort to promote public's knowledge and understanding of the information relevant to facts and trends that demonstrate the buiding of a culture of peace, which is under way and whose progress can be accelerated by an enlightened public opinion. The Association has been recognized by UNESCO as an actor of the global movement for a culture of peace. Good News Agency has fostered the creation of an informal network of NGOs and service associations that ensure an constantly increasing flow of information from the field. The development of new editions of Good News Agency in other languages . The increase of its circulation to reach the target of 10,000 media all over the world. The expansion of its introduction into the high schools and colleges. The formation of a team of co-workers who will speak to the youth in various countries. The strengthening of the campaign for the Ethical Code of the Media so as to reach a stronger and wider support that will enable its meaningful presentation to the media publishers of the world, country by country. Via Antagora 10 - 00124 Rome, Italy.